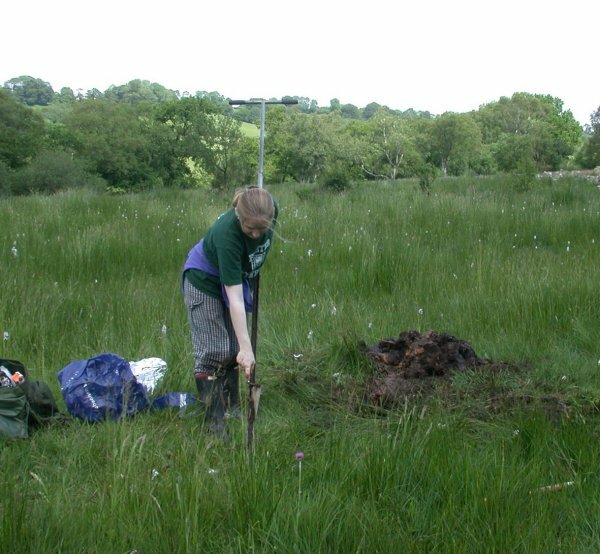 Below is a look at the results Charlotte Hawkins palaeoenvironmental report, undertaken as part of her PhD, and her work with the Community Landscapes Project. 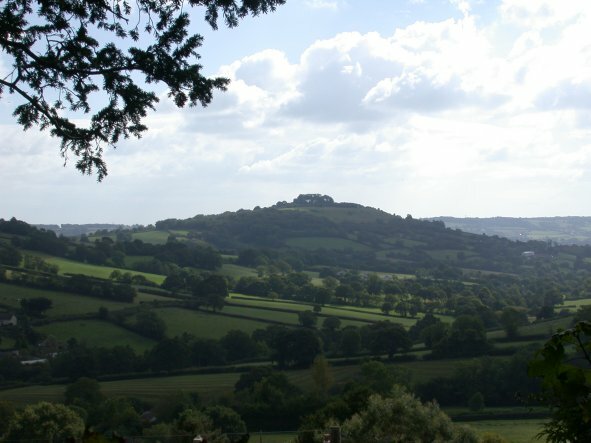 Charlotte, with the assistance of volunteers, undertook a palaeoenvironmental survey of three sites within the Blackdown Hills. 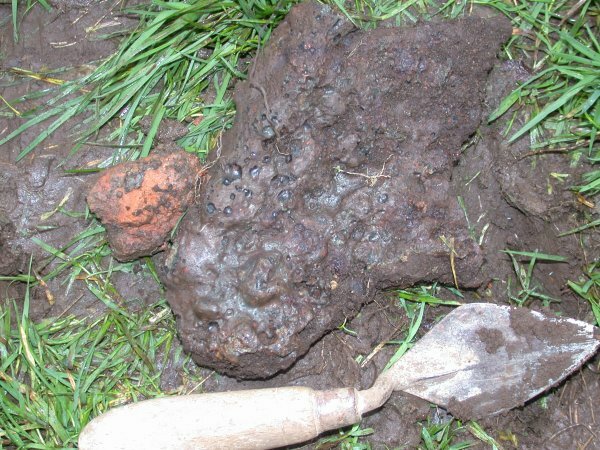 This initially involved finding area of peat bog, the deeper the better and then removing a core of the peaty soil. The sites selected were the waterlogged Bywood Copse, Dunkeswell, Greenway Lane, Luppitt, Bolham Water and Middleton, both in Clayhidon. 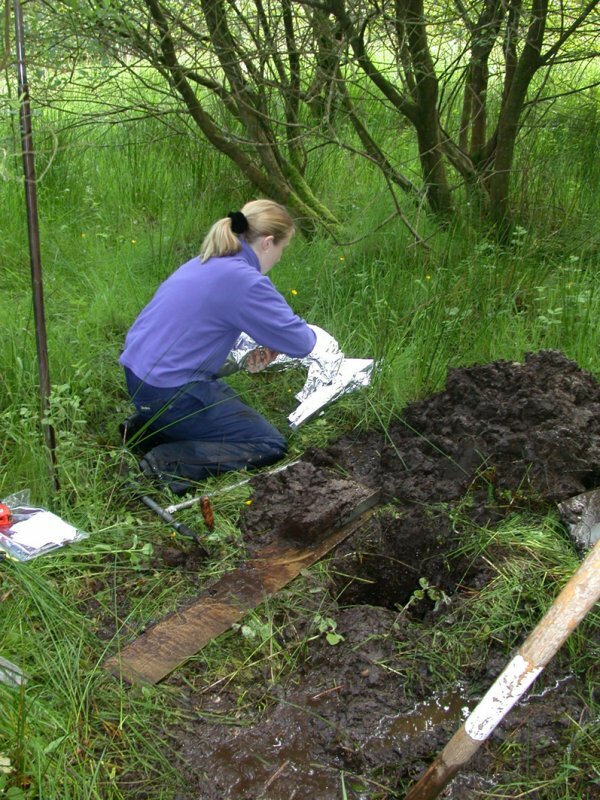 Charlotte wraps samples in tin foil to stop contamination of the peat. Having removed the cores of peat Charlotte then took the material back to the labs at the University of Exeter. Each core of peat was as long as the bog was deep. This meant Charlotte had material from the top of the bog all the way to the bottom of the bog. Another way to see it is each of Charlotte's cores provided a continuous sequence of peat from recently formed (at the top) to the oldest peat (at the bottom). Now with the help of volunteers Charlotte cut the lengths of peat in to 2cm deep slices. This means Charlotte then has 2cm bands of peaty history from modern day to as long ago as the bog formed. How old would that be, well that is dependent on how slow the bog forms and that can be hundreds or thousands of years. Volunteer assisting Charlotte in sampling a long core of peat. Each 2cm band of material was then put through a sequence of chemical washes to remove the unwanted clays and peat and leave the minuscule, but resistant, pollen from different plants and material such as fragments of charcoal. This residue material is then brushed on to a slide and can now be viewed down a microscope. The pollen that comes from different species of plant has its own very individual shape, size etc. By identifying the different types of pollen Charlotte will know which types of plant were growing close to the bog. Dependent on how many pollen samples Charlotte counts on each slide she will also know how prolific was the plant species at that time. This process is slow and incredibly time consuming and means Charlotte or any volunteers attempting this process have to be very patient. Charlotte looks on as one of the volunteers begins the long process of identifying the different types of pollen and counting how many are on each slide. After counting the number of each pollen species, on each slide, and noting any variations in amount recorded from slide to slide, then it is possible to know which plants were about and when, how many, and when changes from one type of landscape, for example changes from woodland to moor land or grassland to fields of wheat, occurs. Now that its possible to see in the core where changes took place we know where is best to take samples for dating. Since the material is organic it is possible to send off samples from particularly interesting bands of change for radio-carbon dating. When the results come back its then possible to place dates against events. Bywood is located directly on the parish border between Dunkeswell and Hemyock. The farm itself is described, see elsewhere on this web site, as a medieval Domesday manor that becomes a Grange in the 13th century. The site used for taking the pollen core was a spring mire situated in a natural basin on the side of the Cleave. Today the surrounding fields are predominantly pasture. Charlotte's research showed accumulation started in the Iron Age around 400BC. Initially there was a mixed deciduous woodland including species such as birch and hazel, but soon there was a period of clearance leaving open grass land on the plateau top, still a good deal of woodland in the valley and a degree of heathland. By 100BC cereal cultivation had begun again probably on the plateau top (see Gorwell report also on this web site). Throughout the Roman and Medieval period there is continuity with the Late Iron Age in the land use. Cereal production is continued but grass land continues to dominate the landscape. Woodland shows signs of management and at time large amounts of charcoal are being produced. The periods of high charcoal production match with known Iron production in the area. These are the 1st century Romano-British period, the 8/9th century Saxon period, and the 13th century later medieval. The first two periods are dated by radio-carbon dating iron slag-mounds and the third is a documentary reference to two Welsh iron workers killing two other Welsh iron workers whilst being contracted to work for the abbey of Dunkeswell. Mounds full of iron-slag imply periods of iron working at Bywood. Greenway Lane is situated to the south of Luppitt village itself on the slope of the sheltered valley. It holds a very small peat bog which formed in a shallow basin and as a result of a spring. Although quite shallow the accumulation of material started in the early Neolithic. A view of Dumpdon (Hill fort) from the Luppitt church yard. This is a parish of narrow winding lanes and irregular patchwork field systems. The late Neolithic/ early Bronze Age transition is marked by small scale clearance of the woodland. Hazel, birch and oak being the main species affected. Woodland still dominates the landscape and it is thought this only reflected small openings in the woodland but not necessarily related to farming activities. Although there had been a long period of woodland stability in the early Bronze Age this was followed by a period of major woodland clearance and the arrival of farming. Woodland was burned down and the land transformed into mainly a pastoral landscape with some areas possibly producing barley. It isn't until the Iron Age and the arrival of wheat or oats that we see definite indications of cereal production. Having said that, still cereal production in the area was very low scale and the landscape of the Luppitt valley was predominantly open grass land. This picture of the landscape continued into the Romano-British period and then in the Post Romano-British period we see some woodland regeneration. Although again the landscape doesn't really change there is a further phase of cereal production is seen in the late Saxon period and this lasted throughout the Medieval period until the 19th century. Located in the parish of Clayhidon, Middleton is south of Bolham Water. 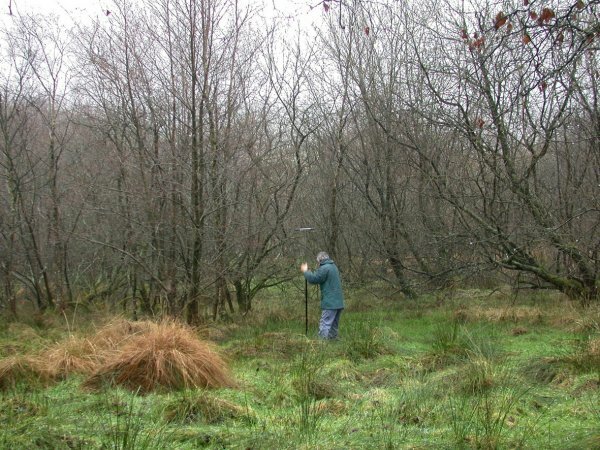 The bog is situated on the side of a hill and is enclosed as part of a field system. Coring at the Middleton site within the late 18th century field system. The results show that woodland dominated the landscape around 4500 years ago. Elm, oak, lime, alder and birch suggest this was a mixed deciduous woodland. The data is not continuous and there is now quite a jump in period to the 7th century Saxon period. At this point the results show there was a period of heavy deforestation. Cereal production first becomes evident in the 8th century. Further clearance leaves only pockets of woodland in the 10th century medieval period and along with this there is an increase in cereal production. Not until the 13th century do we see any signs of woodland regeneration. At the same period in time grass species drop away whilst wheat drops totally from the record. From this point onwards there is an increase in grass land and moor land indicators. Around 1750-1800 once again there are signs of change in the landscape. At this time there is an attempt to drain and improve the lands. This is also seen with documentary records showing an Enclosure Act on this section of land and the building of a cottage on the edge of the field system. Bolham Water lies in the centre of the parish of Clayhidon just north of the Middleton site (see above). The coring site is quite different from that used at Middleton, here the material came from a silted-up palaeochannel on a very small flood plain. 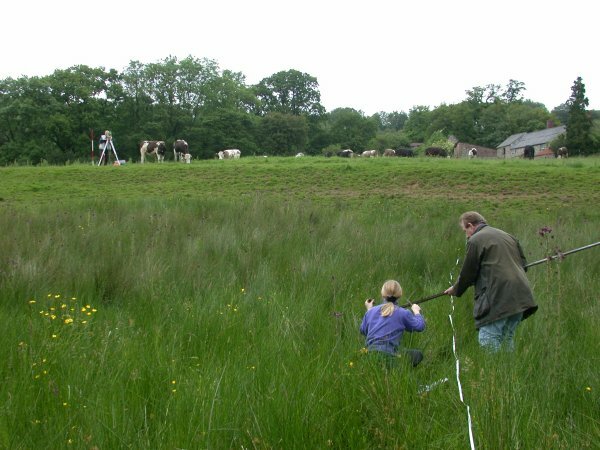 The Community Landscapes Project has carried out a earthwork survey of some possible building platforms that probably belonged to a pre-17th century settlement (see Bolham Water report on this web site). The results of Charlotte's investigations suggest the organic material began to accumulate long ago in the Mesolithic period. The landscape around this section of river was open meadow, grass land with a small woodland component and this situation continues into the Neolithic. An open landscape at this time is quite unusual and therefore the results may only present a very localised picture. It is possible animals, such as beaver (extinct here in Britain now), caused and maintained the openness to the landscape along the length of the stream. Equally humans may have been present and they too could have opened the landscape or at least exploited the openness, for such clearances encourage deer to graze and therefore make useful hunting grounds. Flooding of the riverbed may have resulted in the loss of material for the Bronze Age, Iron Age, Romano-British and Saxon periods. Not until the 11/12th century medieval period does the peat reappear and then it shows the landscape to be mostly open grass land with woodland. There is no indication of cereal production. A further decline in woodland occurs in the 13/14th century but still no cereals. Scrub woodland regenerates in the 16th century Post medieval and this stays until the 19th century when once again there is clearance of woodland and an increase in grass land indicators.